Bring It, Buy It, Try It! There's nothing better than getting together with a few friends in a welcoming, cosy environment and sharing a good beer or two! Any plans for Sunday 17th March?.......No? 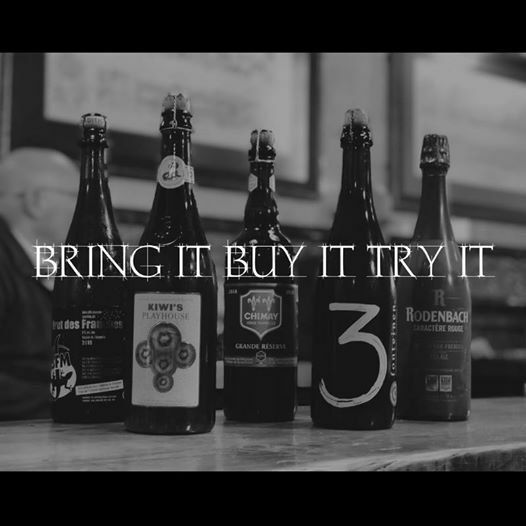 We welcome you to join us for our second Bring It, Buy It, Try It Bottle Share event hosted on Sunday the 17th March at the Draughtsman Alehouse - 19:30 onwards. A night of educated, beery discussion and witty banter? So, dig out that Barrel Aged Imperial Stout, Trappist Dubbel or that Fruity Saison you've had stashed away, grab a friend or two and come on down to Platform 3b. There will also be some rarer bottles on sale for you to take away! Places are limited so please comment or send us a private message if you and your friends would like to reserve a spot.